ABCANTRA offers a variety of training disciplines, and services. Master Trainer, Don Abney, is involved in all of the services that are offered. In addition to the most common training types, Abcantra offers field certifications in Arson, Obedience, Conformation, Canine Good Citizen, and all aspects of Search and Rescue. All services are offered as Boarded Training at our facility. We do not provide group instructions, with the exception of SAR Groups. ABCANTRA obedience courses are designed to provide you with the confidence and technique to gain your dog's respect, teach you the methods of controlling your dog, and elevate you to the position of pack leader. You will witness positive results with the first lesson. Using the ABCANTRA method of training will prove to be exciting for you and your dog. 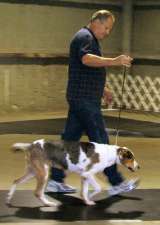 ABCANTRA obedience courses are private, individual, one-on-one classes taught by Master Trainer Don Abney. We do not engage in group training. Every minute you spend in training involves you, your dog, and the trainer. Your time is not spent watching the training of other individuals that may be having difficulty with a lesson. If you prefer to have your family members or friends interact with your dog during training, they may be invited to attend the training sessions at no additional charge. During your training, we make ourselves available to answer any questions or problems that you may encounter. When you have completed the training course, we remain available to assist you with any situation that may arise for as long as you own the dog. The goal of ABCANTRA is to make living with your dog more pleasurable for both of you. Regardless of the course you choose, we will provide the equipment you need for training at no additional cost. This assures us that you have the correct equipment and the proper fit for your individual dog. Boarded Training is available for those clients who wish to have their dogs trained, but who are unable to devote the time to training. This includes the prescribed training course, daily exercise, and the care and feeding of your dog during their stay with us. When training is completed, you will receive printed instructions detailing the methods used to train your dog. In addition to the printed material, you will receive a "hands on" demonstration of your dog's accomplishments. In addition to Obedience (Manners), we offer training in the areas of Behavior Modifications, Tracking, Blood Trailing, Narcotics and Arson Detection, as well as all facets of Search and Rescue. Seminars are available for any of the training that we offer. Although qualified, we do not train Personal Protection Dogs or Bird/Duck Retrieving. Don Abney is an AKC Certified Canine Good Citizen Evaluator, and offers testing at the ABCANTRA facility. 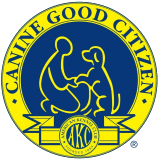 The Canine Good Citizen Program (CGC) began with the American Kennel Club in 1989. The program is designed to reward dogs who display good manners in the community and at home. All dogs must successfully pass a 10 step test before being awarded a certificate stating their achievement. Learning Basic Obedience is the first step in preparing for the CGC test. As a first line of defense of a dog's temperament, and as a means of advocating responsible dog ownership, the CGC has been recognized by the Louisiana State Legislature and has been signed into Law. 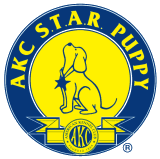 Rules and provisions for testing may be found on the AKC website. The American Kennel Club S.T.A.R. Puppy Program is the first step in responsible dog ownership. This program is offered to dogs which are less than one year of age. You must pledge to fulfil the requirements and pass the obedience test to achieve this honor. Most dogs who complete the Basic Obedience Course will achieve this qualification.